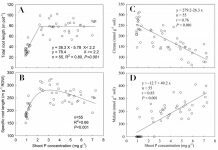 Effects of phosphorus deficiency (1 µmol L-1) on the intensity of rhizosphere acidification/alkalization in white lupin (A, D), faba bean (B, E) and maize (C, F) grown with Ca(NO3)2 (A, B, C) or NH4NO3 (D, E, F). 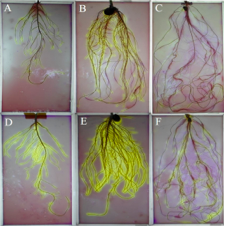 Root morphological/physiological modifications are important for phosphorus (P) acquisition of plants under P deficiency, but strategies differ among plant species, and detailed studies on the response of maize roots to P deficiency are limited. 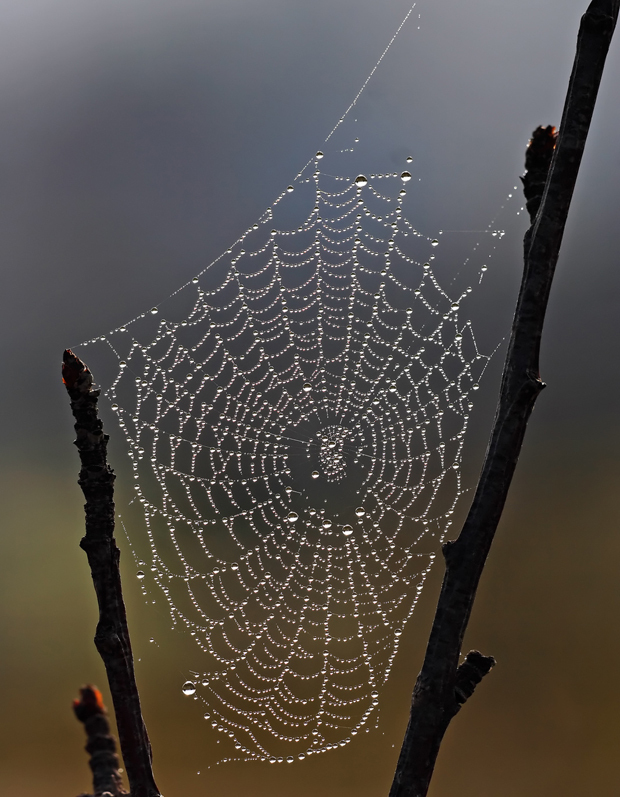 In a recent study published in AoB PLANTS, Liu et al. 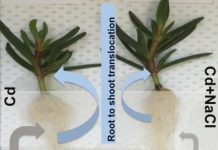 compared the mechanisms of root adaptation of maize, white lupin and faba bean to phosphorus deficiency under supply of Ca(NO3)2 and NH4NO3. 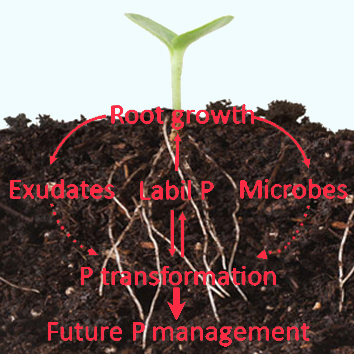 Phosphorus deficiency decreased shoot growth but increased root growth in maize and faba bean. It enhanced the release of protons, organic acid anions and acid phosphatase from the roots of white lupin and faba bean. 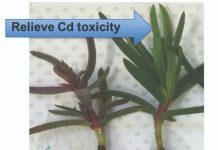 Compared with Ca(NO3)2, NH4NO3 dramatically increased proton release by roots but did not alter the root morphology or physiology of the three species in response to phosphorus deficiency.